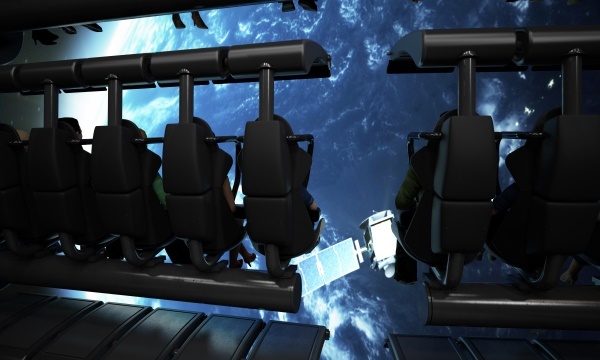 German amusement ride manufacturer Huss Park Attractions GmbH has announced the sale of its recently developed Movie Base XS flying theatre attraction. An evolution of the company’s film-based attraction Movie Base Classic, the first example of the Movie Base XS will open in Russia at the new Dream Island theme park currently being developed in Moscow by REGIONS-Entertainment and due to open in 2018. 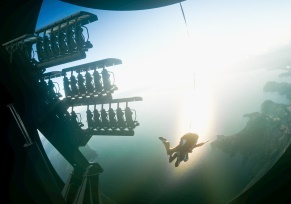 The attraction, to be called ‘Soaring above the dinosaurs’, will be designed and developed specifically for Dream Island using the latest multi-media technologies and will take guests on an exciting, immersive ‘flight’ among the heroes of the park and over spectacular scenery. 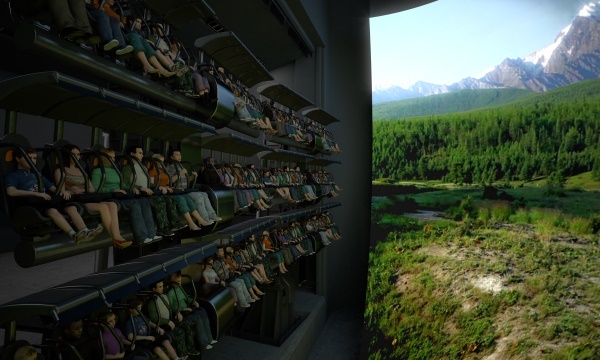 The ride will accommodate up to 72 passengers and will be suitable for all but the youngest of visitors. The attraction is a ‘next generation’ Movie Base concept with a new and improved design, including a new seat design. The ‘XS’ concept refers to the ride being smaller and more compact than the original version, although it offers 20 per cent more capacity despite the reduction in overall footprint. A smaller building impact is also achieved through the floor level loading of riders, the combination of these various elements resulting in significantly reduced overall construction costs. The Move Base XS is available from HUSS® as a full turnkey solution, which includes the A/V and show control system. 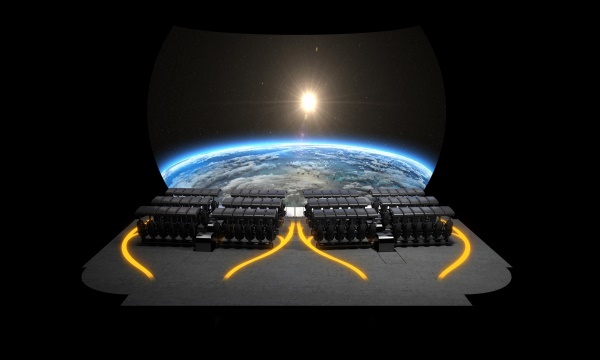 In relation to this the company is realizing the attraction for the Moscow project in co-operation with Austrian company Kraftwerk Living Technologies as its project partner, one of the leading companies in the field of professional A/V system integration and effects technology. Passengers sit in rows of six with over the shoulder restraints and customers can choose from a range of seating capacities – 36, 72 or 108. Due to the floor level loading at 3.5m and access from all sides, each row of seats is easily accessible for riders to ensure effective guest flow for loading and unloading. The impressive flight experience is created by powerful lift (1m) and tilt movements (7.5°) which can give considerable G-forces to the riders. The lifting into the viewing position via a hydraulic system creates a very special feeling, unique to the HUSS® Movie Base attraction. An improved viewing position utilising an angular arrangement of the two passenger units of 5.5°, combined with audio-visual effects and sensory perceptions created by individual 4D effects such as water, wind and scents, provides total immersion for riders, who are able to enjoy the same ride experience no matter where they are seated.